Green House, Good Life: You Know That Feeling That You Left the Door Unlocked? You Know That Feeling That You Left the Door Unlocked? I have that feeling, except that instead of coming home to find out that I left the door unlocked for the day, today I came home to realize that I've basically left it unlocked for the last year and a half. 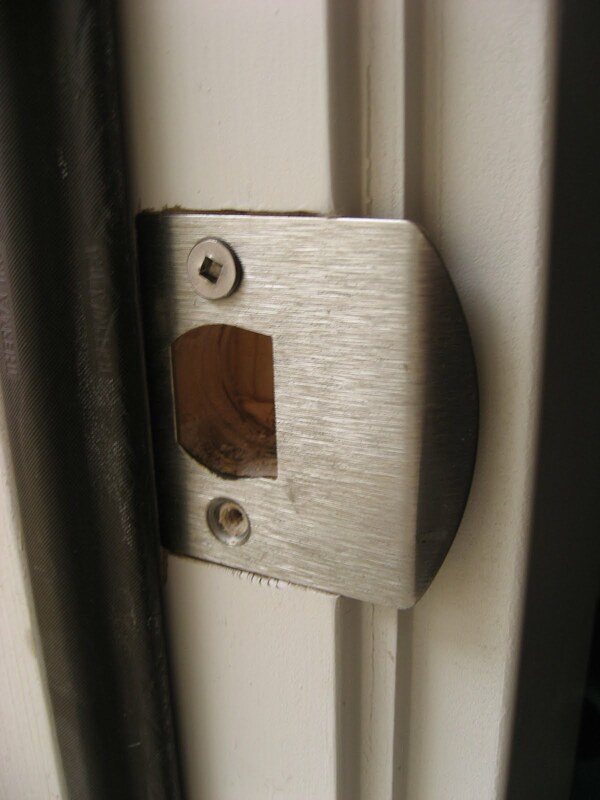 It's always been on our to-do list to check the screws in our exterior door hinges and strike plates. They come with puny 1"-ish screws that only attach the hardware to the door frames (which tend to be made of relatively soft wood), and it's wise to swap them out for 3" screws that go all the way into the studs. (Back in our condo, we had a neighbor whose door was kicked in. Fortunately, only a small stereo was stolen, but the door frame and trim were destroyed by the force of the kick, and they had to replace everything...not to mention the inconvenience of having a door that wouldn't lock for a day or two until they could replace the door, frame, and trim.) Since all of the force of a swift kick is concentrated on the strike plate, and the strike plate is only held in place by two screws, it's important that those screws are held in place by as much wood as possible. 3" screws are just the thing to go all the way through the studs. I sort of hoped that the guys who installed our doors had swapped the screws out for longer ones, and we've been a little busy since we moved in, so checking on it just wasn't a priority. Today I finally got my hands on some 3" screws and finally got to work. When I took the first screw out of the first strike plate, it was about 3/4" long. Which is pretty much like going without locks altogether. Eek! (For people with relatively little worth stealing, we're really, really security-conscious, and this was a huge violation of our own policies....although we do have a pretty sophisticated alarm system.) Longer screws are way more secure. As I'm sure you can imagine, swapping out the screws was really easy (why did we put it off so long?!). It can be helpful to have a drill on hand to pre-drill the holes for the longer screws. Otherwise you might get screwdriver-hand (which, if you're not familiar, is similar to exam-hand and various other claw-hand maladies). It's most important to have 3" screws on the strike plate side, but we like to cover all of our bases and also use them on the hinge side, too. You never cease to amaze me with your attention to detail. I NEVER would have thought about that. Would you please come inspect my house? Never would have thought of that--good to know. I've always relied on living in a safe place, but in the end that will only get you so far. 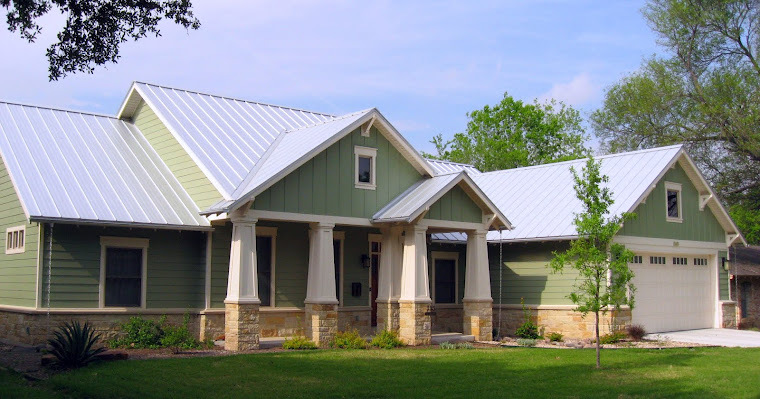 We're moving into a (sort of temporary) new-to-us house in the next week and will be replacing at least one of the doors before long--have to pay attention to that, and do so again when we build our own house in the next year or so.